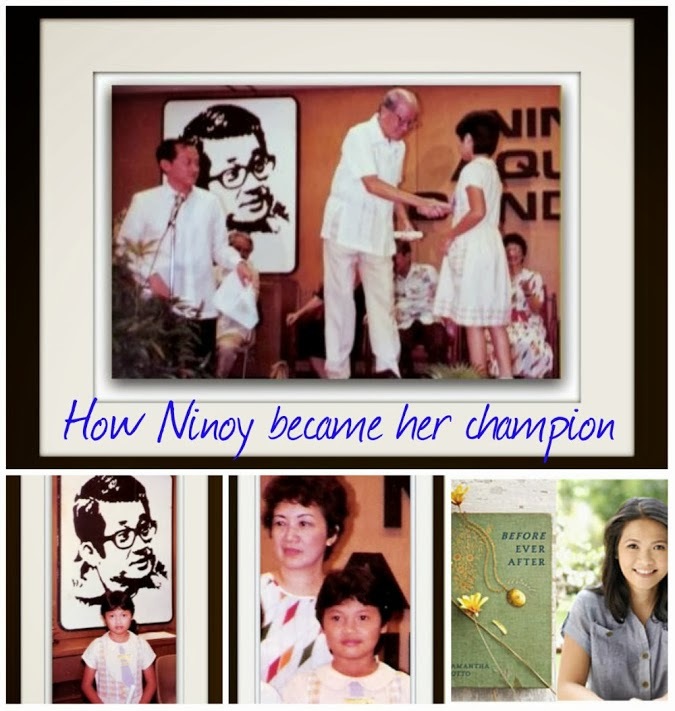 Sam Sotto (born a year after martial law was declared) was deeply touched by Ninoy's heroic act. 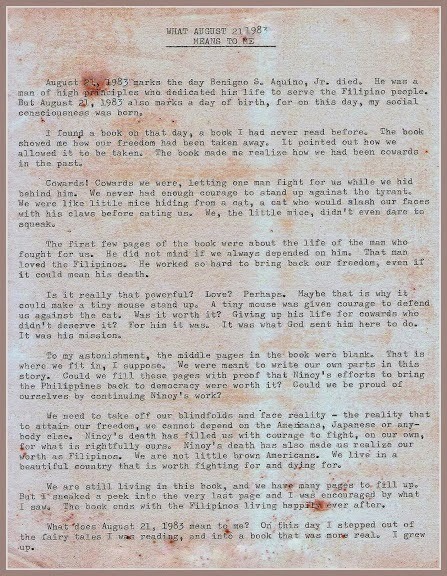 The 11-year old grade school student from Benedictine Abbey School-Alabang (now San Beda College Alabang) decided to submit an entry to the essay-writing contest. 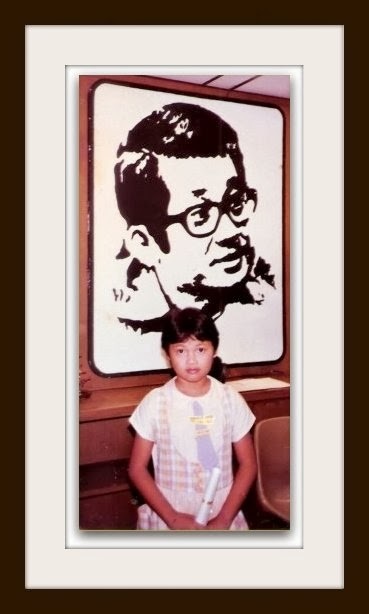 In those very dark days of gloom in the country, it was not the easiest thing to do, even for a kid, considering how the Marcos authoritarian regime stifled any kind of news about Ninoy in all media. how it feels between your toes!" 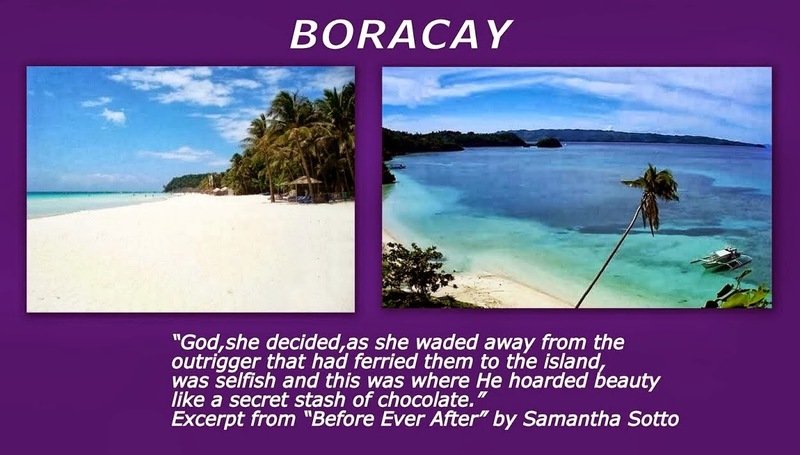 In a call on the Philippine Embassy in Washington D.C., Samantha Sotto said that while her novel “Before Ever After” is set in Europe, Boracay figured very prominently in the story. 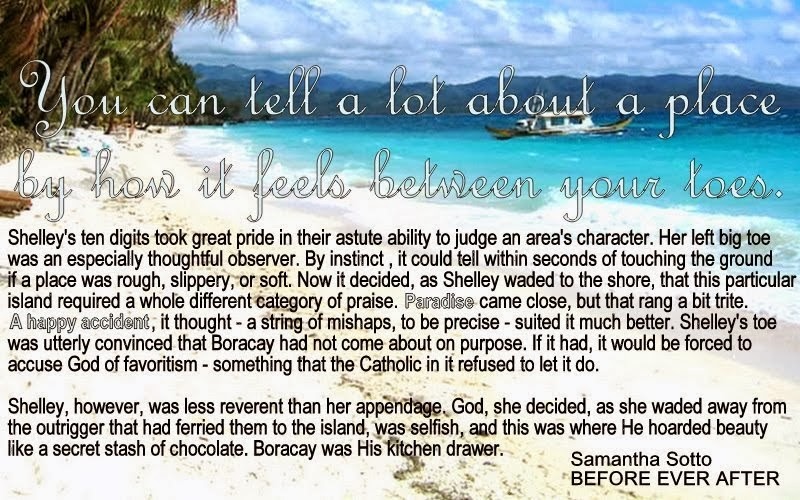 “Ms.Sotto informed Philippine ambassador to the U.S., Jose Cuisia Jr. that while the setting of her novel is Europe, the famous island resort of Boracay in the Philippines is an important location in the story,” the Philippine Embassy to Washington D.C. said in a news release. “My being Filipino was definitely a plus. 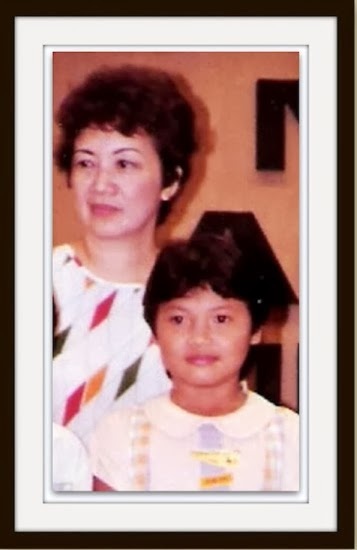 My living overseas was not an issue at all with my publisher,” added Sotto, who lives in the Philippines. Also, she said there are no barriers to Filipino talent and one of her goals in being an author is to raise awareness about the Philippines. Ambassador Cuisia expressed pride at the achievement of Ms. Sotto, who wrote her book at a coffee shop while waiting for her son to get off school. The Ambassador urged Ms. Sotto to continue with her good work to showcase Filipino talent not just in the US but in many parts of the world. This book has an imaginative plot and the story held my interest with its mix of the real, the historical and the romantic. I raced through it. I am looking forward to the book club discussion on this one! This was suspenseful and romantic with really interesting bits of history woven in to believable supernatural elements. What more could a girl ask for?! I enjoyed this story. Though purely fantasy it kept my interest and it was hard to put down. Sweet and sad very likeable characters. Ever wonder how to say Before Ever After in Polish? 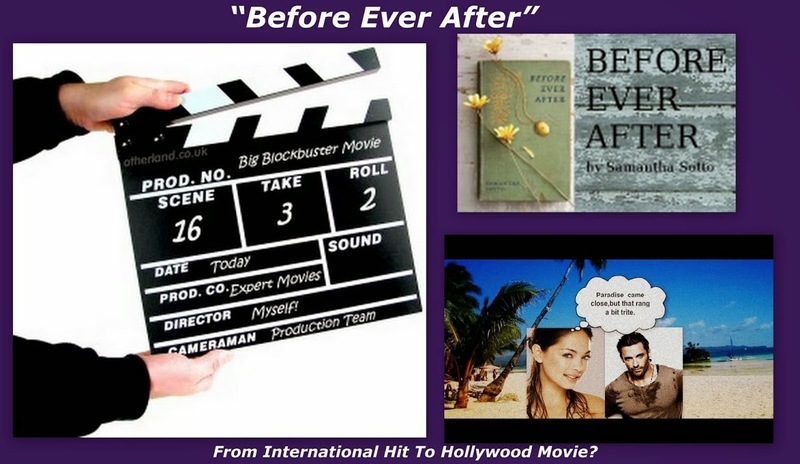 From International Best-Seller To Hollywoood Movie?